In the land of Miami Vices, vodka sodas, and piña coladas, a good beer is hard to find. And although the goblet-sized Coronaritas on Ocean Drive are definitely “good” in their own right, we want to gently nudge you towards something a little more artisan. Over the past few years, craft breweries have been popping up all over South Florida, and with those craft breweries come impressive beer menus at a few of our local bars. Check out the seven aforementioned bars below, and you’ll see what we mean. And yes, some of them will still make you a Coronarita. Walk into this beer shop-meets-taproom-meets-art gallery in Wynwood, and you’ve discovered the Holy Grail of beer. Dubbed a “craft beer market” by its owners -- husband-and-wife duo Nicole and Adam Darnell, two art industry vets with a passion for good beer -- Boxelder has 20 local brews on tap and 150+ eclectic bottles to go. If you want to belly up to the bar, choose from a rotating menu of mostly Florida beers from the likes of MIA Brewing, Funky Buddha, Cigar City and Gravity Brewlab, along with a couple kombuchas and wines. If you’re just there on a beer run, make your own six pack with random beers from Pennsylvania, Upstate New York, Virginia and more. 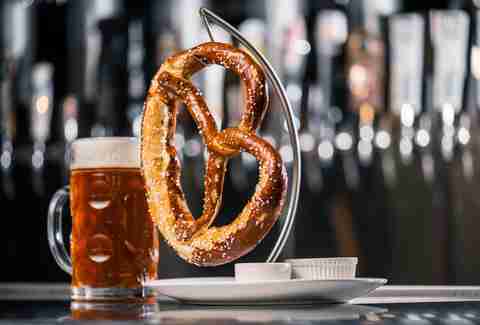 Beer lovers will drool over weird food-and-beer pairings (Ben & Jerry’s and brews) and visiting beer experts, some of whom live stream-in on huge projection screens to lead beer-themed chats. When you do buy brews to go, don’t worry about bringing your car. The Darnells have six-pack holders you can attach to your bicycle. Don’t let the fact that it’s a chain deter you -- when it comes to beer (and food and cocktails and atmosphere and people-watching and happy hour), Yard House knows what’s up. There are over 100 beers on tap, TWO half-price happy hours from Monday to Wednesday, a menu of beer blends and beer ice cream floats, a special “chalkboard menu” of seasonal brews, and even a beer sampler with six rotating, five-ounce beer shots for less than $10. Pro tip: Yard House truffle fries pair well with anything. 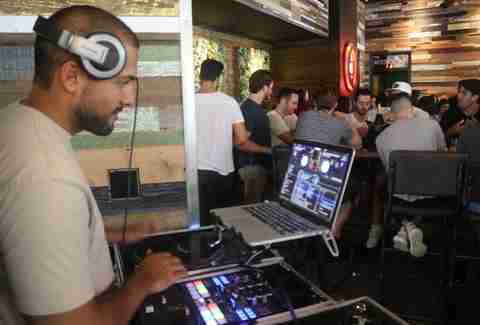 Judging from the steady flow of regulars flooding the bar-restaurant for brunch or game days, you wouldn’t know this trendy gastro pub just hit the South Florida scene in 2015. Like its name implies, it has 42 craft beers on tap, from lagers, hefeweizens and double IPAs, to browns, nitro beers and Belgian ales, and even layered drafts like the “Bruised Apple” with Apple Orchard Apple Cider and Guinness. If you want to try more than one, get the handcrafted beer flight. 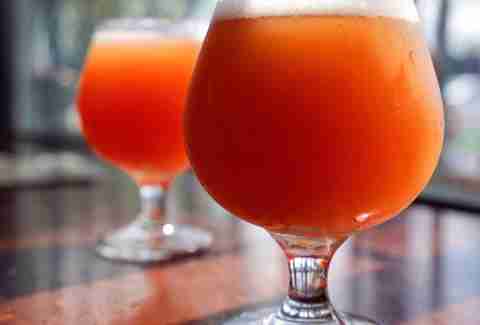 You’ll get three six-ounce pours of anything on tap for just $15. 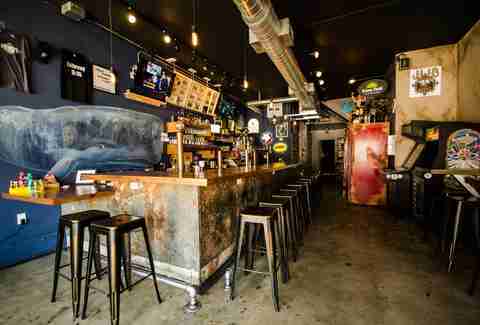 Beer lovers can go to this low-key joint for a rotating menu of 18 brews on tap, one nitro keg, and if you’re there on the right day, even a cask and an aged and reserve bottle list with beers you likely won’t find anywhere else. The ambiance is standard Wynwood (so, graffiti), but the food and drink menus draw a crowd that’s all of South Florida mixed in one. Choose whatever brew the bartender recommends and order the “Frita,” a burger topped with guava jelly, Gruyere, potato sticks and bacon. Together, you’ll get an effortlessly cool taste of Miami. Long gone are the days where Little Havana was only good for a pastelitos and cafecitos. 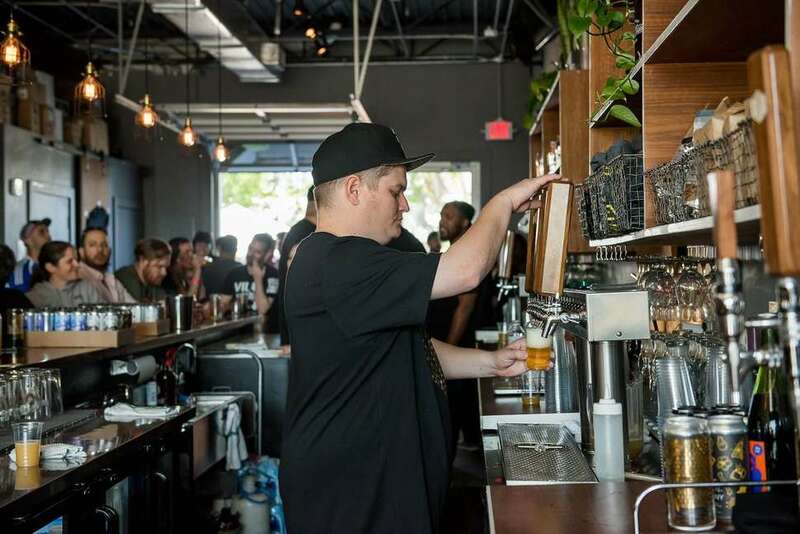 Thanks to the former owners of Miami Brew Bus/past partner of Kush, this very Miami neighborhood now has a taproom, beer market, and growler bar all rolled into one. 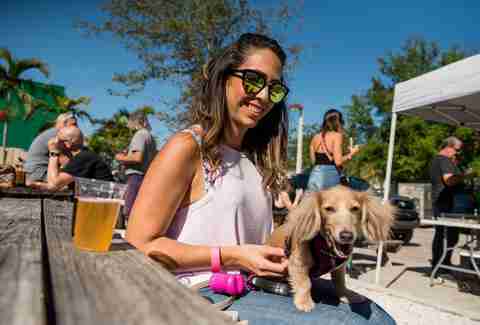 The beer selection is as random as putting a taproom in Little Havana, so expect 20 taps and chilled cases of out-there brews like an orange-lime-sherbet sour, a chocolate-vanilla-maple stout, a mango witbier, and just for Miami, a “La Playita” pilsner. Much like us, even award-winning chefs need a pizza or a burger every now and then. Although, unlike ours, Michael Mina’s pizzas come topped with smoked-BBQ short rib and house-pickled shallots, and his burgers are dry-aged and topped with truffle aioli, crispy prosciutto and caramelized onions. Luckily, we all drink the same beer. 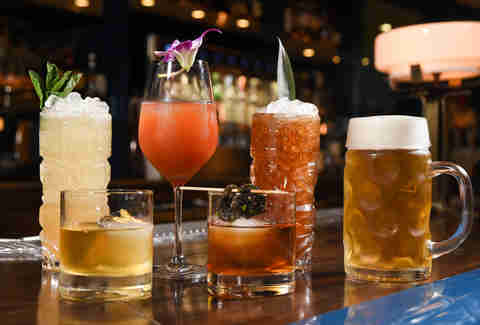 At this casual bar-resto at the Fontainebleau Miami Beach, sit at the bar and choose from around 30 brews; the 10+ on tap come from Miami brewers, while the 18 bottled or canned beers are handpicked from all over Florida. 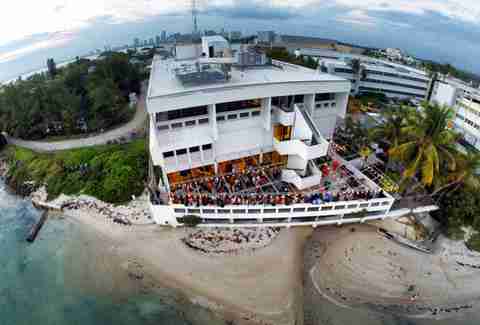 If drinking at a bar in a marine research lab on a college campus is wrong, we Miamians don’t wanna be right. Hidden in the Rosenstiel School of Marine and Atmospheric Science, just past a foyer full of taxidermy fish, this random watering hole is where you go for a cold beer on the water, live music, and local tap takeovers. It’s run by UM marine students, so order one of the 17 $3 craft beers on tap, snag a mix-and-match bucket of five craft beers for just $20, and spend your next couple hours enthusiastically sharing those shark migration facts you just Googled. Jennifer Agress is a Miami-based food writer and editor who had to Google “shark migration” to write this article.